Explore the mystic “Nepal” by choosing this 07 Nights – 08 Days Kathmandu Tour with Chitwan National Park from Nepal Guide Info Team ( Nepal planet treks and expedition ). Nepal Planet Treks designed this package wherein you will explore both wildlife as well as various tourist attractions in Nepal. To name few places of interest included in this Nepal tour package are Pashupatinath temple, Boudhanath Stupa, Swayambhunath Stupa, Chitwan National Park, Phewa Tal (Lake), Mahendra Cave and many others. You can book online this package by contacting our customer support team which is online to provide round the clock service. On your arrival at Kathmandu International airport for Kathmandu Tour with Chitwan National Park, our representative will transfer you to air-conditioned car as you will leave for your hotel. Rest of the day will be at leisure or you can carry out independent activities like visiting any of the colorful markets in Kathmandu. Return to the hotel for overnight stay. After having breakfast at the hotel, you will leave for half day sightseeing in Kathmandu wherein you will visit Pashupatinath temple- one of the holiest Hindu temples in world which is dedicated to Lord Shiva. It is situated on the bank of the sacred Bagmati river and built in pagoda style having brilliantly carved silver doors and gilded roof. Then visit Boudhanath Stupa- which was constructed by King Man Deva. It contains inset prayer wheels and built on an octagonal base. The big shrine is enclosed by the houses of Buddhist priests- Lamas. After this you will visit Swayambhunath- Buddhist stupa that is considered to be 2000 years old. The main structure is made from brick that supports a lofty conical spire capped by a peak of gilt copper. On completion of the sightseeing you will again drive towards Nagarkot and on arrival at the this place, check-in the hotel for short relax. Then you will enjoy the panoramic view of various peaks like Mt. Everest. This place is very famous for viewing sunrise as well as sunset. Return to the hotel for overnight stay. Have breakfast at the hotel, then you will drive towards Chitwan National Park for Jungle safari. You will either have a jungle safari on elephant back so that you can view the wildlife or a jungle walk to explore the bird life and the flora & fauna for this park. It is also possible to spot tiger in this national park. On completion of the jungle safari, you will check-in the resort for overnight stay. After having breakfast at the hotel, you will leave for full day excursion in Chitwan wherein you do elephant safari to explore the nature and wildlife of this place. You will also enjoy a boat ride in Karnali and Geruwa Rivers. Return to the hotel for comfortable overnight stay. Have breakfast at the hotel, then you will drive towards Pokhara. On reaching this place, you will check-in the hotel for short relax. Rest of the day is free for independent activities. Return to the hotel for overnight stay. 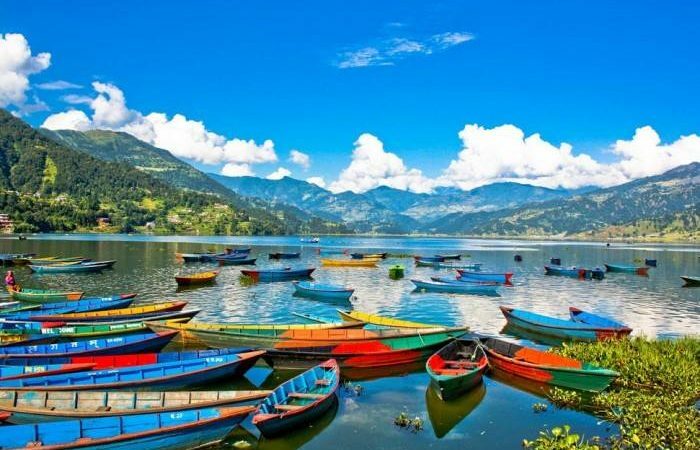 After having breakfast at the hotel, you will leave for full day sightseeing in Pokhara wherein you will visit Phewa Tal (Lake) – the second largest lake in Nepal wherein you can enjoy boat ride. Then you will visit Mahendra Cave- a large limestone cave that is the abode of bats. You must carry a torch with you to see the stalagmites and stalactites. After this you will visit Devi’s Fall- an awesome waterfall and known for its serene beauty. In the evening, you can relax at the hotel and enjoy the sunset view. Overnight at the hotel. Have your breakfast at the hotel, then if you can again enjoy a boat ride in Phewa Tal (Lake). Then drive towards Kathmandu and on arrival at the this place, check-in the hotel for comfortable overnight stay.